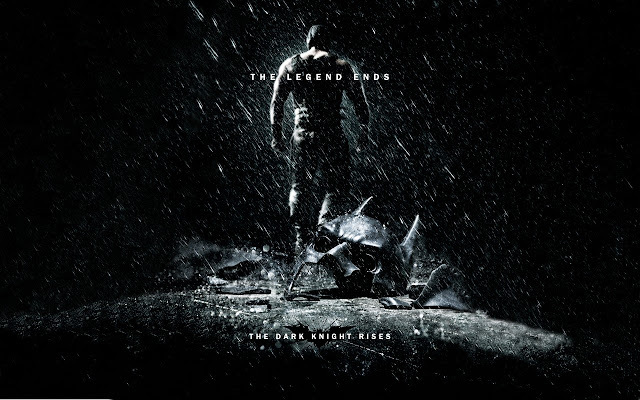 Christopher Nolan has received a tremendous amount of praise for his visionary redefined Batman franchise. His stories were new stories, his stories were unique, and his stories weren’t in the pages of any comic book, even though he states Batman: Year One as his basis for his stories. Comic book fans know that, except for a realistic tone, Year One and Nolan’s series are not even slightly close to each other. Nolan was telling his own new stories about the Bat, just as any comic book writer does when he gets a character and his told to reinvent him. That’s exactly what Nolan did. With Batman begins, Nolan attempted to do what nobody else in the history of DC comics ever did, and that was give us a story on Batman’s origins. He posed this question, why would a billionaire choose to become a vigilante, what sort of person would he be, what would finally drive him to become this symbol?? Everything about it was new, it was fresh, even Scare Crow, a villain that wasn’t known to the general audiences, and to comic book fans it was a very different portrayal of the character. Then Heath Ledger came along. After watching Batman Begins, he loved this realistic world that Nolan created, so he got into contact with Nolan and proposed his idea for the Joker. A short while after that, Jonathon Nolan (Christopher’s Brother) joined the franchise and he started panning out a screen play based on what Heath Ledger wanted his joker to be, and what Christopher Nolan wanted his film to be. At the end we got a true classic, a lynch pin in what can easily be called the best comic book film of all time, with Heath Ledger giving the best performance of his life, which was a true Oscar winning performance. Once again, Nolan delivered an original story, with original take on characters such as Two-Face, and got the benefit of having an Heath that knew what he wanted his Joker to be. So much so, that he re-wrote all of Joker’s lines in the script to fit his vision. We think this film will be epic, but The Dark Knight will remain the true classic of this franchise. Because, it was unique, we didn't know what to expect and we got a story about Joker and Batman, that has never played on any TV screen, read in any comic or seen anywhere. The story was unique, Joker was unique, everything about it was unique. The Dark Knight Rises, is already showing signs of the lack of uniqueness. One thing we did look at quite closely was the portrayal of Bane, which seems like Tom Hardy does a pretty good job of doing!! He will be a Bane unlike any other, we have ever seen. 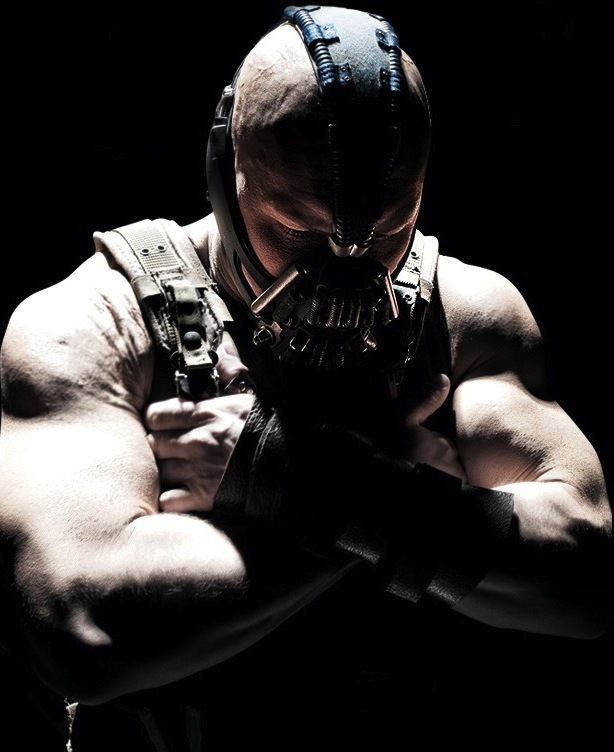 However, unlike the Joker, which was Heath Ledgers vision, Bane will be Christopher Nolan’s vision. The Nolan Bros. decided to change his origins quite significantly but they seemed to have borrowed quite a large part of the there film straight out of the comic books. 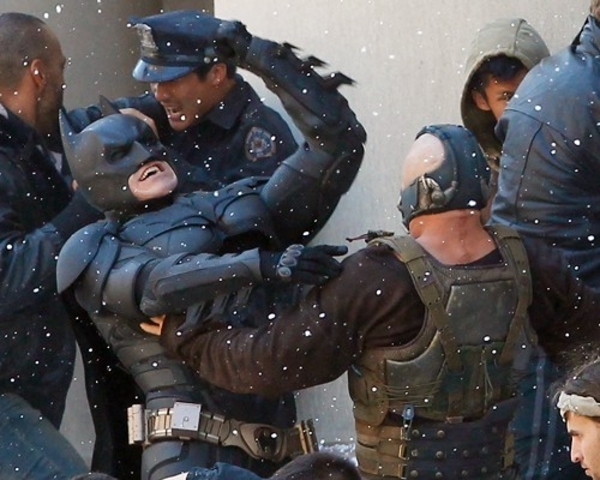 Batman Vs Bane: Here We Go!!! "He is raised by Ra’s al Ghul (Bruce Wayne's old mentor, played be Liam Neeson) in which his up bringing mirrors that of Bruce Wayne. It’s a mirror of Bruce, except it’s darker and twisted. Bane is trained to be an assassin for the League of Shadows. He kills political figures that are deemed unfit by the LOS. Kind of a Che Guevara/ Jason Bourne type character. 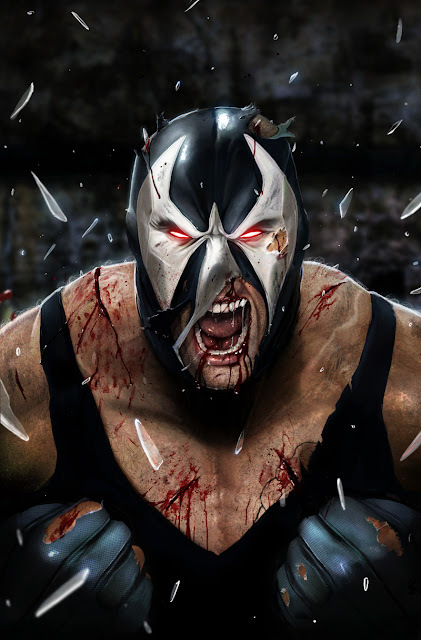 Bane is described as a 'revolutionary and an assassin' who is hellbent on starting his own uprising. In the prologue of the film (SPOILER ALERT) we will see Bane and his mercenaries hijack a military plane transporting a dictator of a country, which is in unrest (think Saddam Hussein type figure). During the flight Bane manages to kill the leader, but he made some awful mistakes, which result in his inability to land the plane. Because of the resulting injuries from the accident, he has to undergo complicated surgeries and that is how he winds up with that scar down his neck and the need for the mask to continuously numb the pain." Bane grew up in prison and that's we're he learns how to ply his trade. "He reads as many books as he can get his hands on, builds up his body in the prison's gym, and learns to fight in the merciless school of prison life. Despite his circumstances, he finds teachers of various sorts during his incarceration, ranging from hardened convicts to an elderly Jesuit priest, under whose tutelage he apparently receives a classical education. Bane murders this priest upon his return to Santa Prisca years later. However, he commits his first murder at the age of eight, stabbing a criminal who wanted to use him to gain information about the prison. Bane ultimately establishes himself as the "king" of Peña Dura prison. The prison's controllers take note and eventually force him to become a test subject for a mysterious drug known as Venom, which had killed all other subjects. The Peña Dura prison Venom experiment nearly kills Bane at first, but he survives and finds that the drug vastly increases his physical strength, although he needs to take it every 12 hours (via a system of tubes pumped directly into his brain) or he will suffer debilitating side effects. Thus, Bane is both Physically and Mentally superior to whomever he faces." The Bat is Broken, Bane Wins!! 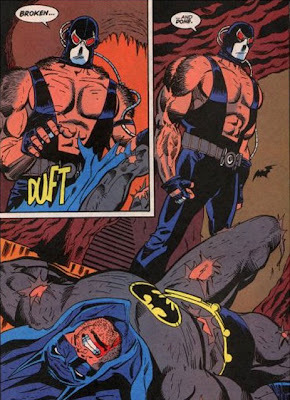 The Parallel that we can see quite clear in the comics and in the film is that Bane hates Batman, he wants to kill Batman, and even though he is physically superior to the Bat, he wants to make sure of victory. So Bane first decides to terrorizes the people of Gotham, so that Bruce takes notice of him. He then frees all the criminals from Jail (This would of certainty brought Joker back to reek havoc in the city, ScareCrow might have a cameo). 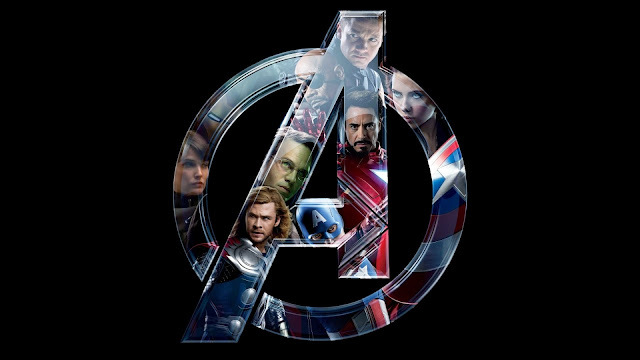 This causes Bruce to don the cap during daylight (Which is something he never does) in order to round up the criminals and put them back into prison before the whole city is lost to anarchy. Batman is forced to take up crime fighting non-stop for the next three months, to help put all these criminals back behind bars, using up all of his energy and strength. 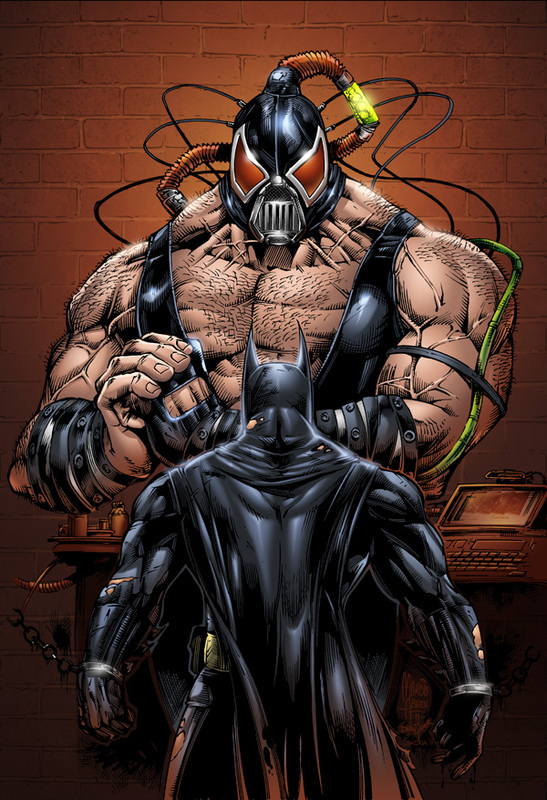 It’s at this time, that Bane visits Bruce (His quite smart he knows Bruce Wayne is Batman) at his Mansion. 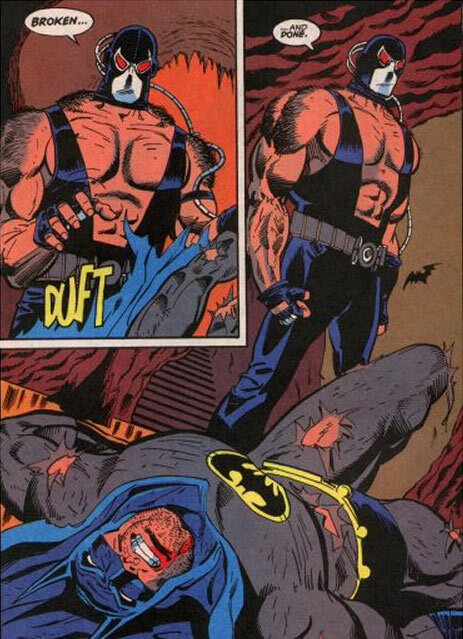 They fight, only this time Bruce being worn out, as he is cant really defends himself, allowing Bane to gain the upper hand and Break Batman’s back. In the trailer, it’s clear to see that many of these aspects from the film are directly borrowed from the comic, our only question is how much??? 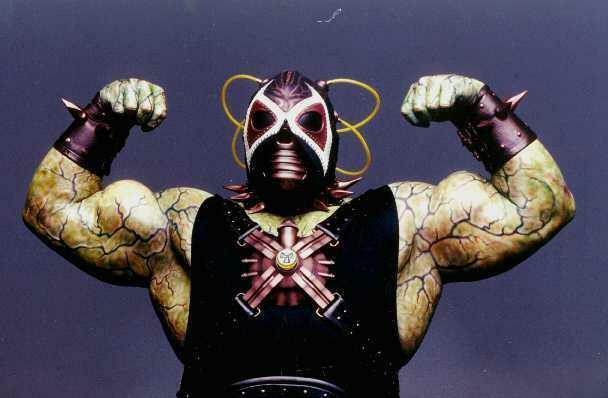 Bane in Batman & Robin, pretty pathetic!! With the this film having such a dark somber tone, and the tag line (the Legend Ends)... This could be one way of ending this franchise... But how will Bats defeat Bane??? And can he even beat him???? Could JGL be the Next Batman?? 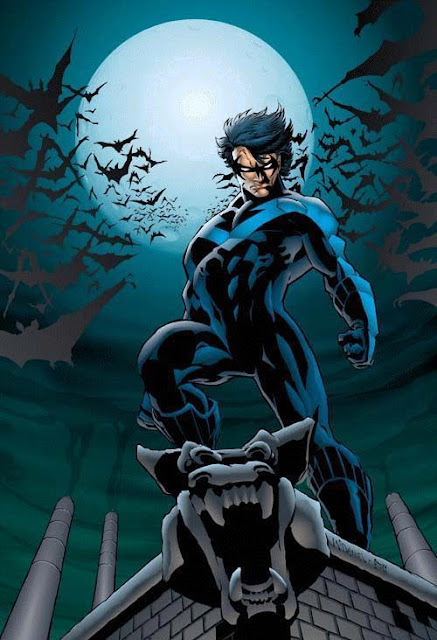 Or Nightwing??? Let us know what you Think?? How Bad Could this end for the Bats, In the comics it was never good when it came to Bane... Will JGL be NightWing, Bats Or remain a Cop... You tell us!!! 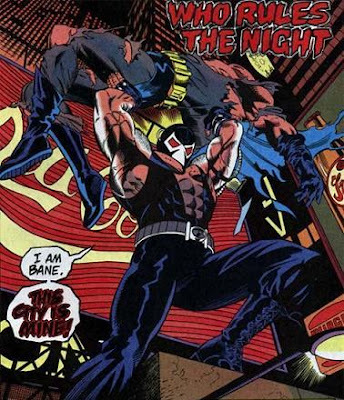 I think out of all the modern super hero movies, the Batman films have been my favourite, so in a way I'd be sad to see it all end with Bane breaking his back, but I totally agree that JGL could take up the Nightwing title should Batman become paralyzed or what not, that would be a pretty good ending! Ya we know exactly what you mean, we hoping that Chris kinda shocks us by doing something different instead of Bane breaking his back.... But if it does come to that we really hoping that at least we get to see JGL as Nightwing or the new Batman!!! Um , you got the prologue totally wrong . 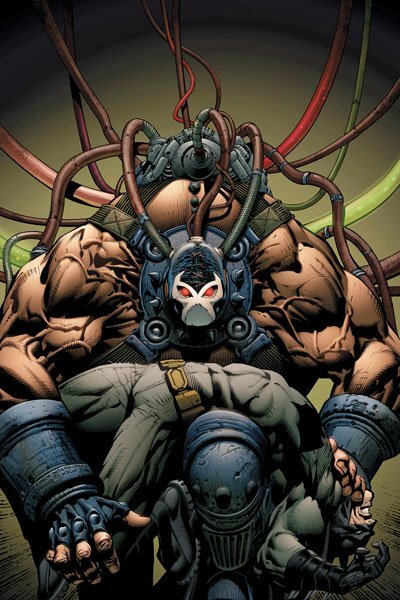 ( SPOILERS )Bane planned the plane heist , kidnapped a Russian scientist named Dr. Leonid Pavel who is skilled at designing nuclear technology which Bane and his men require for their terrorist activities , however Pavel had refused because he could tell how evil Bane was and secretly sold Bane and his mercs out to CIA agents , on the plane when Bane says to the interrogating Agent " Dr. Pavel refused our offer in favor of yours , we had to find out what he told you about us " Pavel lies claiming he said nothing out of fear of retribution by Bane , Bane however sees through the doctor`s lie , when one of Bane`s men asks " Have we started the fire ? " Bane assures him " Yes , the fire rises " , the merc then tries to escape but Bane says " No , they expect one of us in the wreckage , brother " and the merc submissively nods accepting his fate looking up at Bane with wild-eyed devotion the whole time and Bane then injects Pavel`s blood into the fallen merc`s desiccated corpse to make it look like Pavel`s already dead to the authorities and so they can`t link the plane heist to him directly . Bane then placates Pavel for the time being with the line " Calm down , good doctor . Now is not the time for fear . That comes later . " and parachutes out with Pavel in tow as the Agents and Mercs die in the crash . 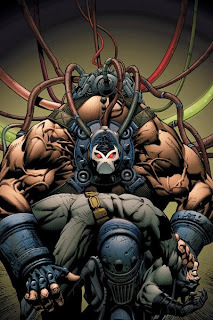 Bane was scarred and his lungs damaged by fellow prisoners in the underground Moroccan prison called the Pit ( Which you might call a merger of the Lazarus Pit and Pena Duro or alternatively Bane may have been transferred from Pena Duro to the Pit at some point ) . And , Tom Hardy confirmed in an Interview that his Bane is still from the Caribbean . I don`t get the complaints about Hardy`s casting at all . The dude doesn`t look all that different from Bane`s unmasked self in his first few Comic Appearances in which he had very lightly-tanned fair skin and long Brown Hair in a Ponytail , Bane`s more stereotypically Hispanic look which he`s more known for came later and Hardy totally looks like a half English , half Hispanic dude who`s been all over the world which Bane is ! Not all Hispanics have brown skin , people !